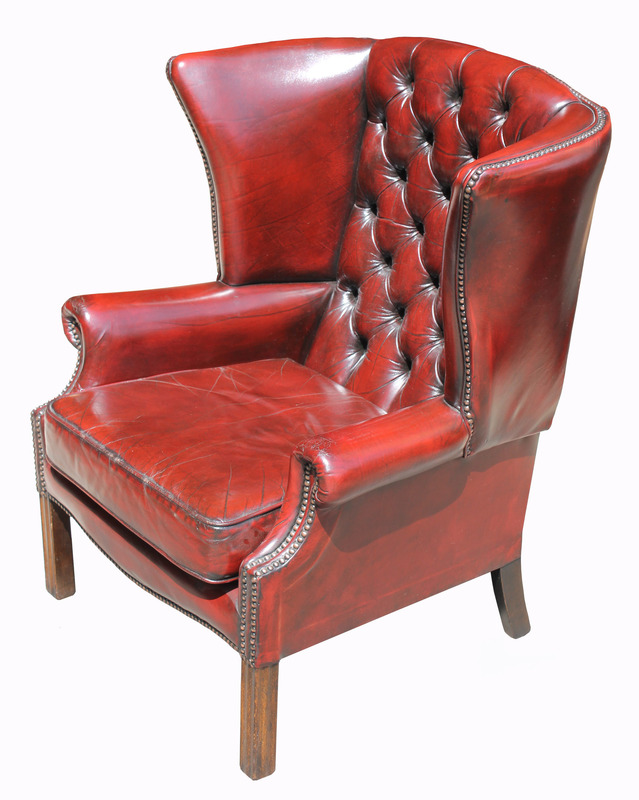 A Lovely Quality Leather Upholstered Armchair. 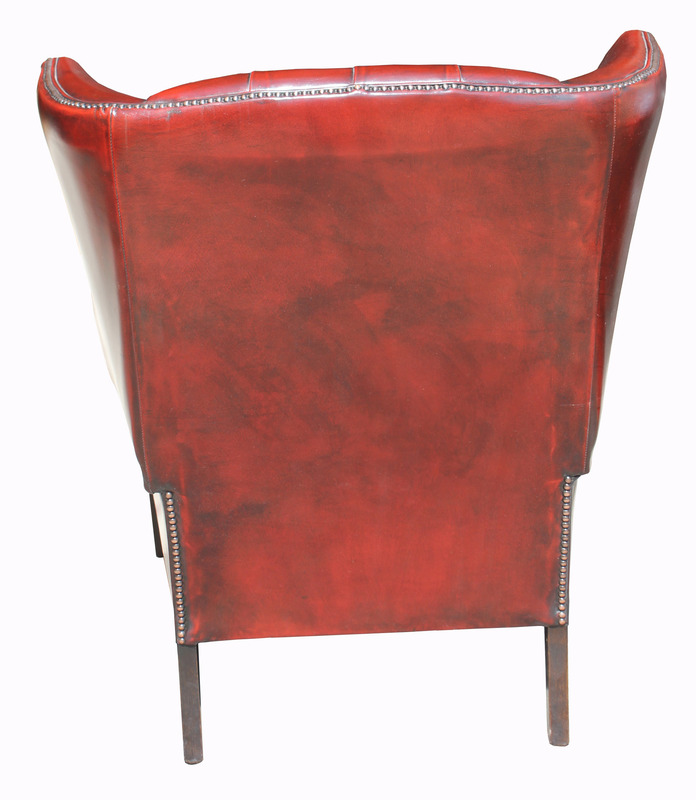 the chair with a removable seat cushion and with a studded back and stud decoration. 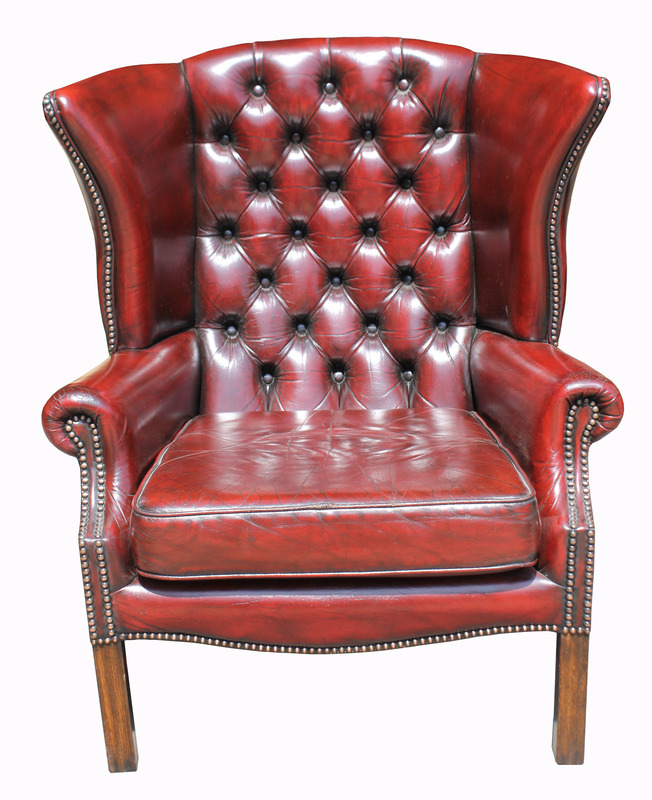 The chair on four mahogany legs. 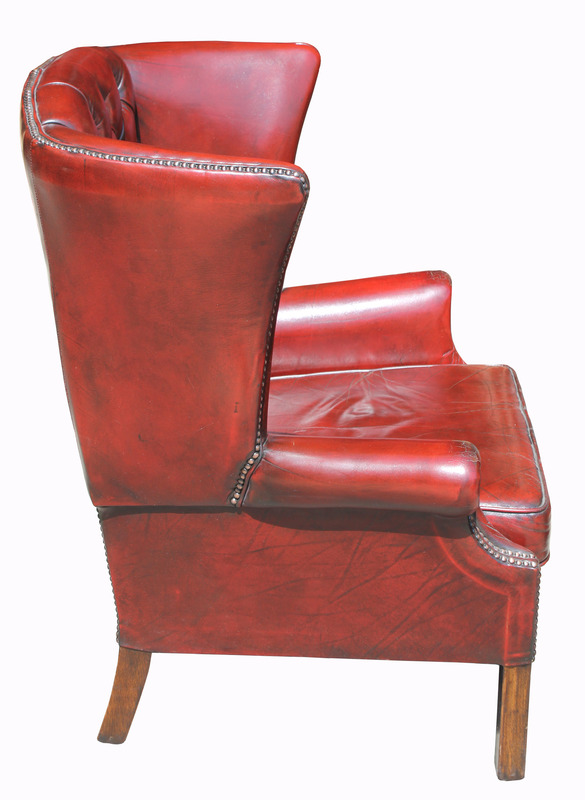 Height: 38 ins / 96 cms. 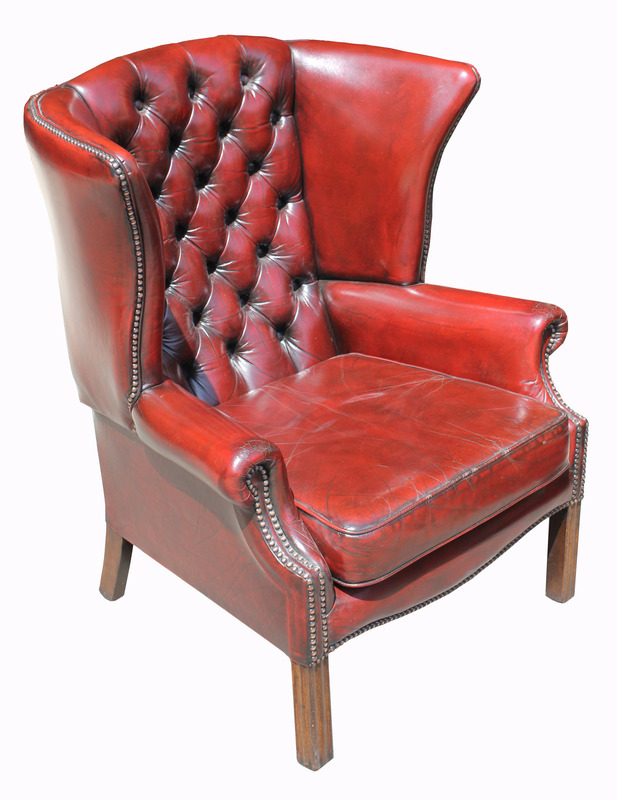 Width: 33 ins / 84 cms. Depth: 27 ins / 69 cms. 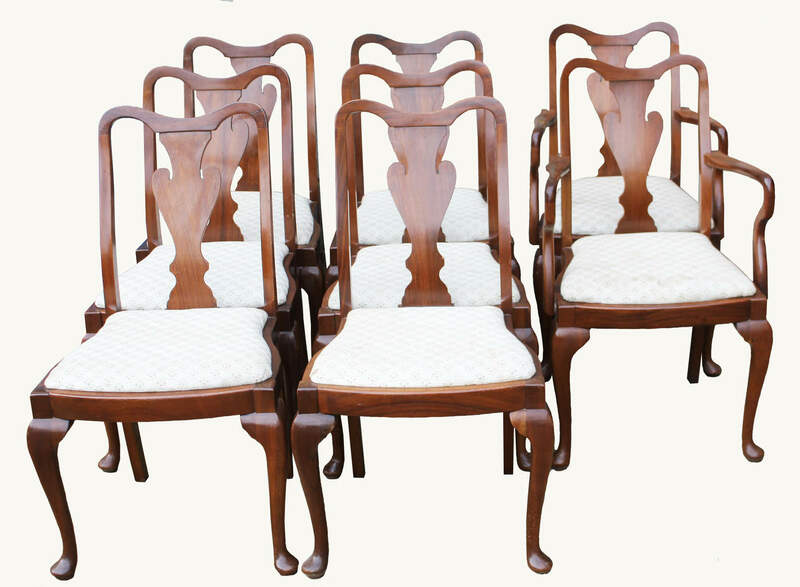 A Superb Set of Six Distressed Ipswich Oak Dining Chairs. 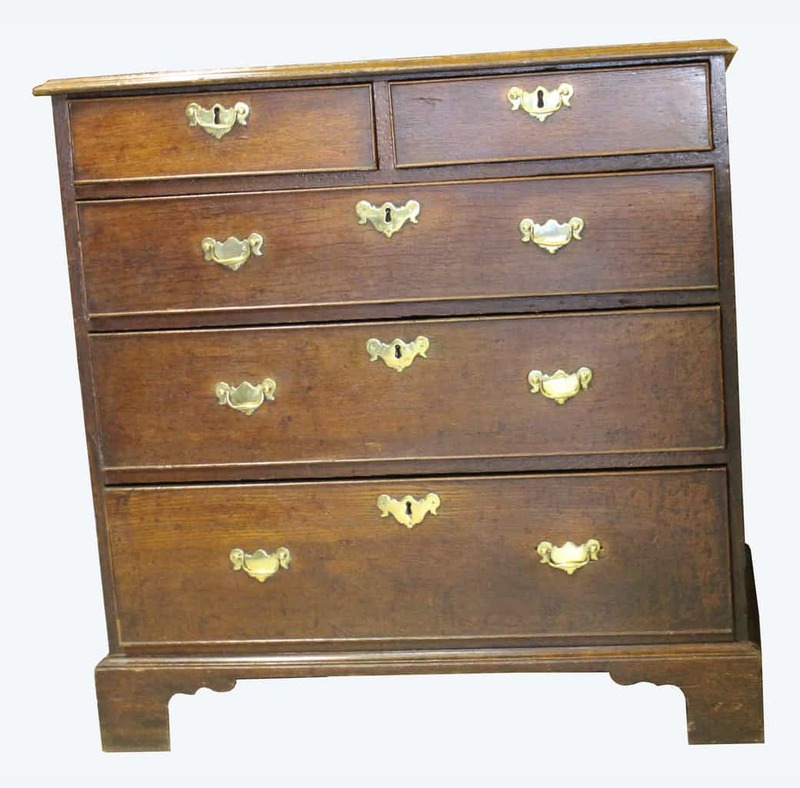 A George 111 Mahogany Chest of Drawers.